The Aspis Kodi add-on from the Supremacy repo is a fantastic all-in-one playlist add-on and a great BoB Unleashed alternative. Being a direct fork of the now-defunct BoB Unleashed, users of that fantastic addon (and BoB Unlimited!) will love that Aspis brings back the playlister magic. Aspis is chock full of wonderful content including movies, TV series, and even live television IPTV broadcasts. You’ll love the Trakt integration if you like to keep track of your watching habits and keep up with many TV series and movies. If you have a Real-Debrid account, you can find a ton of 1080p HD videos in a category made especially for you with access to your own fast lane servers. If you’re pretty experienced at installing Kodi TV addons, then you’ll probably only need the web address for Aspis home repo. The Aspis Kodi addon can be found at http://2supremacy.uk/repo within the Supremacy Repo. Since Kodi 17 Krypton’s release, the XBMC Foundation requires a system settings adjustment before allowing third-party addon installation. Follow our Enable Unknown Sources guide to make Kodi ready for the installation of unofficial Kodi TV addons. Kodi Krypton or newer settings must be turned on or Kodi won’t recognize the Supremacy repo source web address as valid. Follow the illustrated guide below to installing Aspis by using Kodi’s default skin, Estuary. If you’re using a custom Kodi skin or build, you may want to re-enable Estuary (the default skin) so you’re able to follow along. This illustrated Kodi TV addon install guide will guide you step-by-step on how to install Aspis. Carry out each step illustrated below to easily install Aspis on your Kodi device. The Supremacy repository is the unofficial repo Aspis calls home. You must tell Kodi where to access this repo from. Aspis is only one of the many fantastic Kodi addons housed in the Supremacy repository. Feel free to browse around to see what else Supremacy has to offer! We’ll give Kodi the Supremacy repo location first. This is where all the great TV addon installs, updates and extras available there can be found. First, click the icon (looks like a gear cog) on the top of Kodi’s main menu to access System settings. Click Add Source in the left menu. Then, click on <None> to put in a custom location source. Type the web address: http://2supremacy.uk/repo, and click OK. In the Name text band just below that one, enter supremacy then check all of your input for typos and click OK. Remember to check out all the other great addons available in the Supremacy repo. If the butter’s already melted for your popcorn, you may want to go ahead and watch a movie first, though. Nobody will blame you. Navigate to the Kodi main menu and click on Add-ons. Above the Add-ons menu on the top left, click on the Add-on browser open package icon, which is often called the Package manager. Then, click Install from zip file. From the pop-up dialog choose the supremacy source we installed earlier. Choose repository.supremacy-X.X.zip for Supremacy repository installation. A Supremacy Repo Installed dialog will appear letting you know the repo is now available for the Aspis installation on your jailbroken Firestick or other Kodi device. Now, let’s get this Aspis installation done, as a greatly diverse collection of free streaming online content awaits! Next, select the Supremacy Repo where Aspis is waiting to be installed. Enter the Supremacy Repo’s Video Add-Ons. Click Aspis to find the install option. Simply click the Install button! Aspis will download along with its dependencies and then you will see the Aspis add-on installed pop-up. Once you install the Aspis Kodi addon, connect with your IPVanish VPN app and begin streaming all your favorite movies and TV shows. If your internet connection can handle it, and your privacy is protected by an encrypted VPN with unlimited bandwidth such as IPVanish VPN, then you can stream free movies online with no buffering. Aspis does a great job of presenting you with even more of what you want in ultra high-quality HD if you’re using Real-Debrid . Links provided by the Real-Debrid worldwide network’s high-speed servers access some of the best HD streams available. The highest quality video streams your connection can handle will make buffering a thing of the past. Kodi users compare streaming online movies with Real-Debrid to driving in their own fast lane during rush-hour traffic. Aspis may be the new flagship of the Supremacy repo, which was already one of the best Kodi repositories available. This repository houses loads of great addons. If you have any questions about Aspis or any other item in the Supremacy repo, feel free to ask in the comments below, or you can ask the Supremacy repo maintainers and addon developers themselves at their Supremacy Telegram group . Please do not, however, ask questions concerning Aspis and Supremacy at the official XBMC Foundation Kodi forums. They publicly frown upon Kodi third-party addon users and developers due to the attention of anti-piracy groups. The Aspis Kodi TV Addon has thousands of viewing options to check out. 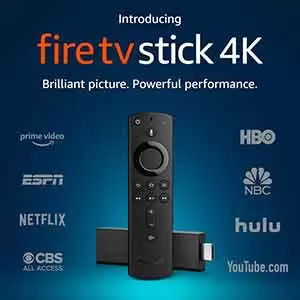 It works great on any Amazon Firestick or Fire TV with Kodi Krypton, so try one of these easy Kodi streaming devices. Just remember to make sure your IPVanish VPN app is connected to avoid being spied on while you stream all the free movies and TV shows Aspis finds available online. Thanks for the easy setup instructions. You were right. Aspis is a great addon from @steboy79 Supremacy! Great to see you here. Thanks for commenting on our humble blog. I absolutely agree that Supremacy has a hit with the Aspis addon. This made it super easy to install watch a movie. Just thought to come back and say thanks here. Bookmarked your site and am getting your “My True Media” newsletter now. Keep them coming and keep writing so clearly!